ISHOF News: Joy Cushman, an administrator, coach and promoter of the sport of Synchronized Swimming (aka Artistic Swimming) will be inducted into the International Swimming Hall of Fame as a Pioneer Synchronized Swimmer and member of the Class of 2018 in ceremonies in Fort Lauderdale, Fla., on May 19, 2018. News you need to know. Joy Cushman, an administrator, coach and promoter of the sport of Synchronized Swimming (aka Artistic Swimming) will be inducted into the International Swimming Hall of Fame as a Pioneer Synchronized Swimmer and member of the Class of 2018 in ceremonies in Fort Lauderdale, Fla., on May 19, 2018. Joy Cushman was born into an aquatic family that had a summer beach house in Galveston, Texas. It was where she developed an early love for swimming, fishing, surfing, and water-skiing. Back in Houston during the school year, she joined a swimming team. Like most female swimmers in those days, she performed water ballet routines for her clubs annual water shows, starting in 1939. It was the great heyday of water shows and the Aquacades that helped popularize swimming and make Johnny Weissmuller, Eleanor Holm, Buster Crabbe and Esther Williams superstars. It was also an era when water ballet was morphing from the world of entertainment into the physically demanding sport of synchronized swimming – and Joy fell in love with it. In 1946, when the AAU officially recognized synchronized swimming as a sport, Joy won the Texas championship in solo, duet and team competitions. Then when the Shamrock Hotel opened, with its incredible swimming pool in 1949, Joy performed for the Opening Gala before a slew of Hollywood celebrities and tens of thousands of celebrants. Shortly after that, she started coaching the Shamrock Hotel Corkettes Synchronized Swimming Team. Under Joy’s guidance, the Corkettes established themselves as one of America’s top synchro teams for many decades. 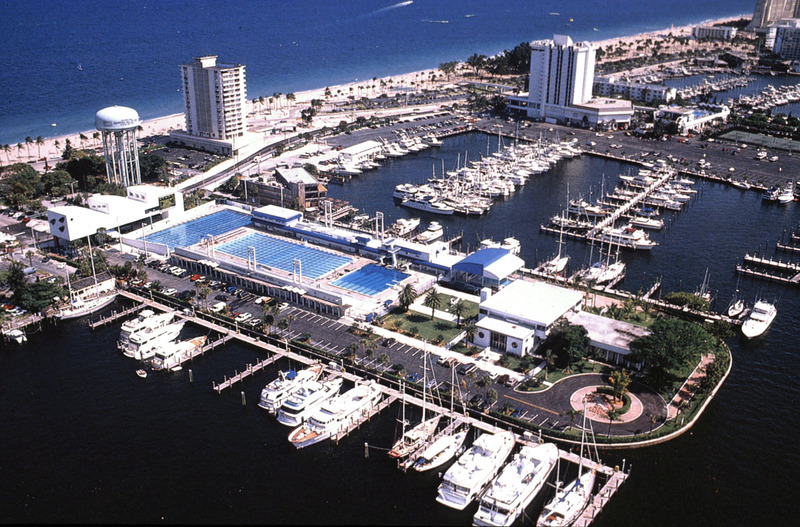 They also performed, along with divers, clown divers, and dancers at every convention banquet and cocktail party held at the hotel poolside. The funds earned from these shows enabled her and the team to organize workshops, clinics and competitions to promote synchro. Joy’s great strengths were as an administrator, official and promoter of synchro as an international sport in its formative years. She conducted many synchro workshops and hosted international swimmers and teams from Mexico and South American for clinics and competitions in Houston which helped put synchro in the 1955 Pan American Games as an official sport. 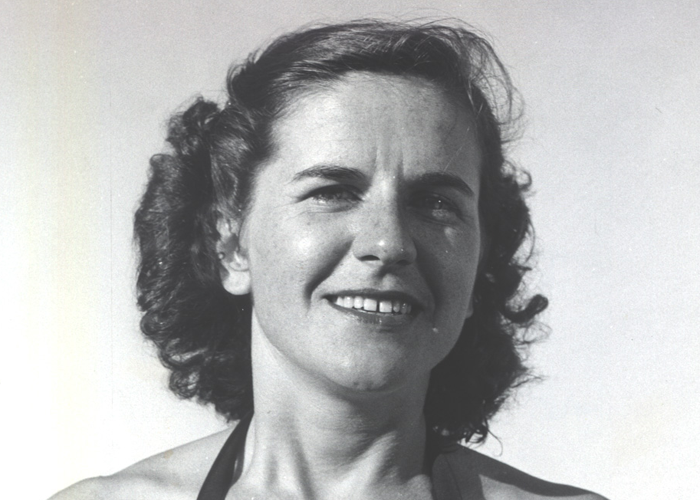 For the 1959 and 1963 Pan Am Games, Joy served as coach and manager of the U.S. team Synchro Team. Her Pan Am experiences led to a charter position and member of ASUA Synchro technical committee for many years. She also served on the FINA Technical Synchro Swimming Committee for 12 years, eight as Vice Chairman, and four as Honorary Secretary, beginning in 1960. Joy also gave clinics in Australia, Spain, New Zealand, Austria, Canada, and in 1966 developed the first Japanese-American dual meet. She was the Chair of AAU Synchronized swimming from 1958 – 1963 and served on the United States Olympic Committee Board of Directors from 1956 to 1975. She was head chaperone for the American delegations that competed in the 1971 Pan Am Games and 1972 Summer and Winter Olympic Games. During her career, Joy served as Chief Official for synchronized swimming at six Olympic Games, nine Pan Am Games and four FINA World Championships. Among the many awards she has received over the years are the FINA Silver Pin and the Lillian MacKellar Distinguished Service Award from United States Swimming. 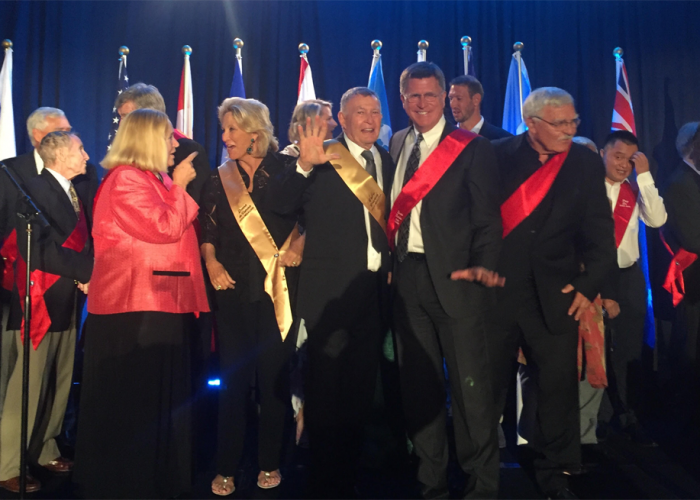 The 54th Annual International Swimming Hall of Fame Awards Weekend! of the Saturday evening induction ceremony. ¼ mile south of the International Swimming Hall of Fame. Please call 954 524-8733 and mention Swimming Hall of Fame Honoree Ceremony for the special Rate of $159. Ian Crocker (USA) Honor Swimmer was part of the Class of 2017, but was unable to attend the induction due to Hurricane Harvey. We will be officially celebrating his induction as part of the class of 2018. ISHOF Members $305 ISHOF Non-Members $400 BEST PRICE!! ISHOF.org. Simple theme. Powered by Blogger.